We take care of your transfer between any cruise in port of Miami to your flight in the fort Lauderdale airport. Don’t worry, we operate constantly from the port of Miami so you will never miss your flight in FLL. 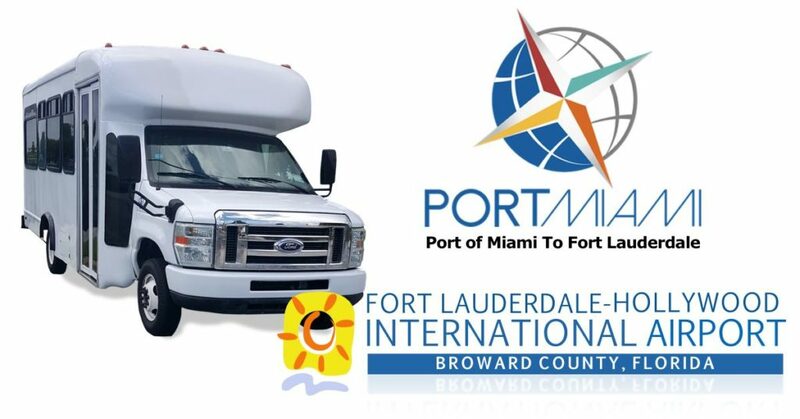 Port of Miami to Fort Lauderdale airport, why come with us? Express shuttle Miami service this route since 2004, we have plenty experience working with port of Miami itinerary, the waiting time for a van is less than the competition. We also have shuttle service from Fort Lauderdale airport to Port of Miami, or check for more services we have from Port of Miami.